The deleted NST Online report, which had cited Islam News, a Russian Islamic Media Agency, as the source, said that the ceremony incorporated both Malay and Russian traditions, and was held at the Barvikha Concert Hall in the Russian capital. 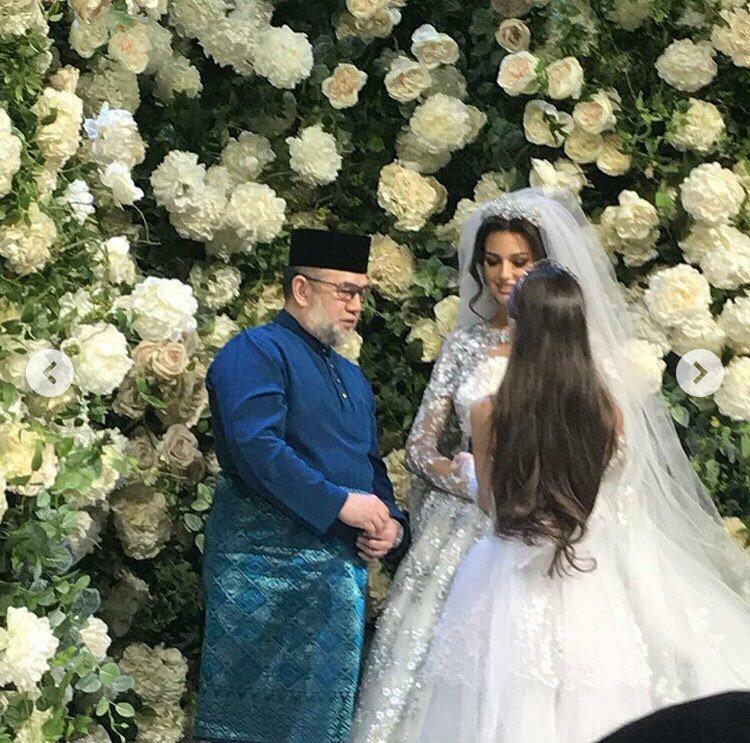 In the photos circulating on social media, his majesty can be seen in a navy blue baju Melayu while Oksana is seen donning a glittering wedding gown. 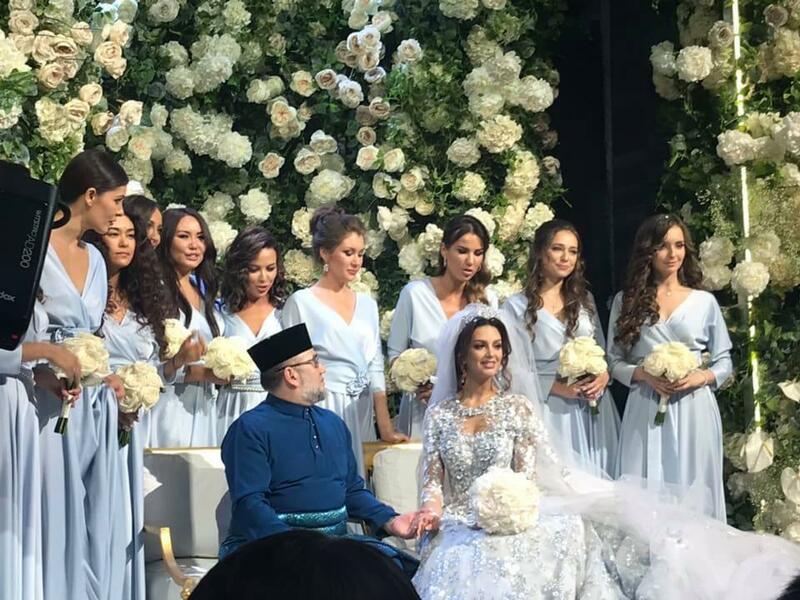 The unexpected wedding of the Agong has taken many on social media by surprise. 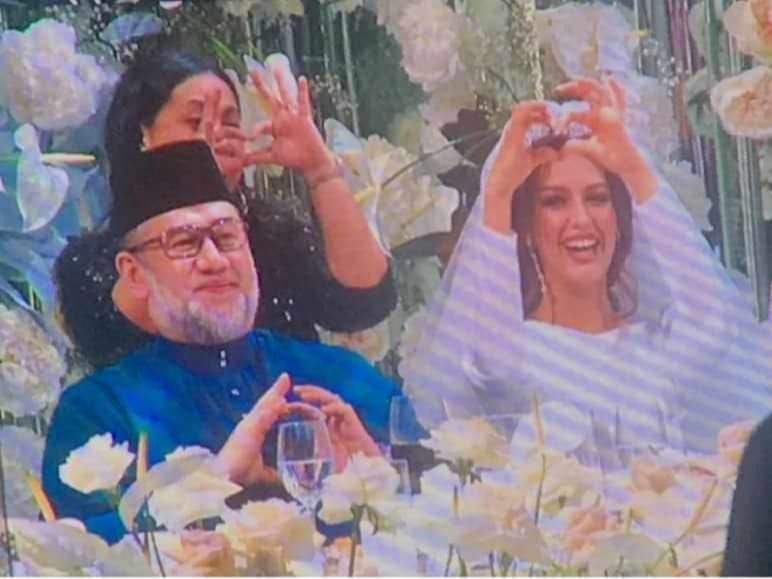 Still, netizens expressed their love and support to the Agong and his new bride. The floral arch is so pretty...!